You may or may not have known that the incredibly talented Anne Goursaud is not only a director, editor and producer but also an accomplished writer. Dive into her latest published piece on Nikki Finke's Hollywood Dementia, called KEEP THE GOOD PIECES. Set in Hollywood, KEEP THE GOOD PIECES, chronicles Claire's big break as a female editor, working to cut a film by one of the most legendary directors of all-time. Take a read... you may notice a little ACB cameo in this great piece of fiction. Reminds us of Oscar Wilde's famous quote, "Life imitates Art far more than Art imitates Life." Do you agree? A CLASSY BROAD goes to San Antonio! The premiere Texas screening is co-sponsored by the Northwestern University Alumni Club of San Antonio, the Thomas Jefferson High School Historical Preservation Society and the Lassos Alumni Association. 5-6 pm - Explore outside campus. 6-6:30 pm - Limited tour of the interior of the school. 6:30 pm - Local comedian Cleto Rodriguez, MC, honors Marcia Nasatir. 7 pm - Documentary begins. 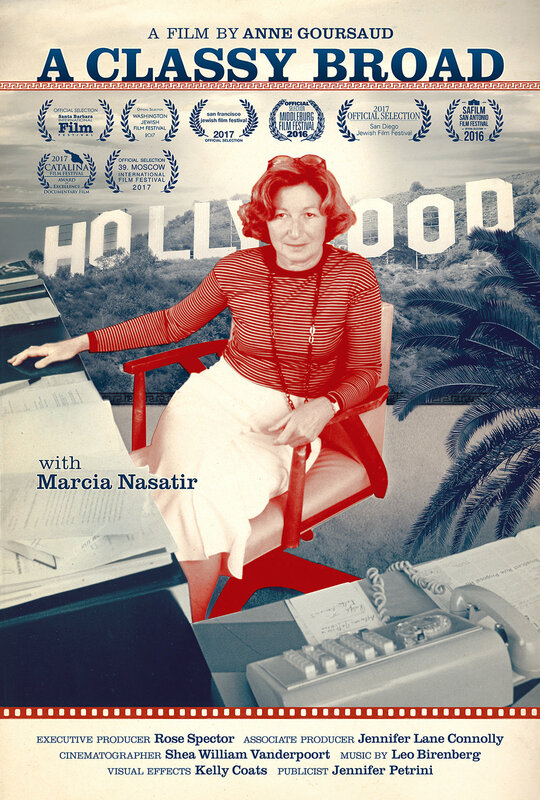 8:30 pm - Q&A with Marcia Nasatir and Director/Producer Anne Goursaud.